Developed in close collaboration with Richie Kotzen, the Tech 21 RK5 Richie Kotzen Signature Fly Rig is not just a rehash of the original Tech 21 Fly Rig 5 with a splash of red paint. Coming in at shorter than 12" in length and weighing around 1.2 lb, the RK5 is used by Richie Kotzen for getting his signature tones on the go with minimal setup and teardown time. Instead of the Plexi Drive of the original, the RK5 has Richie's signature OMG overdrive for red-hot distortion tones when combined with the onboard SansAmp tube amplifier emulation or an actual live amp. Activating the boost switch kicks in up to 21dB of extra preamp gain to further push your tone into sustaining overdrive. Aside from being quick to set up, customizing and tweaking your tones is a simple process. No need to navigate banks and menus, just twist the knobs on the front panel. Using the built-in speaker emulation the RK5 can be used in front of a guitar amplifier or by itself going direct to a PA system for a minimalist setup. So whether you have your own amp or a backline provided for you, the Fly Rig will be able to deliver the goods. This on-board emulation has been optimized for lush, chiming clean tones and has a Drive control to add just the right amount of gain from warm break-up to snarling grind, with a flexible 3-band EQ. LOW is tuned to ±12 dB @ 120 Hz, MID is tuned to ±12 dB @ 500 Hz, and HIGH is tuned to ±12 dB @ 3.3 kHz. The adjustable Reverb is included in the SansAmp section. It is based on the Boost RVB pedal to create the rich ambiance of a vintage spring reverb without clattering pings, canyons of doom, or other annoying artifacts. Based upon the Richie Kotzen Signature OMG pedal, this section provides a wide range of overdrive, from clean to aggressive. You can add personality to a clean amp or use it for extra punch with a dirty amp tone. It includes controls for Level, Tone, and Drive. If the OMG distortion still isn't enough, the Fly Rig can be kicked into "Hot" mode with up to 21dB of pre-amp gain. The "Hot" footswitch operates independently to boost any of the Fly Rig sections whenever you feel the urge to punch it up. The integrated delay sound is based upon the Boost DLA pedal. It is voiced to give you the sounds of a vintage tape echo and features Level, Time, Repeats, and Drift, which adds a random element to the modulation for authentic textures. 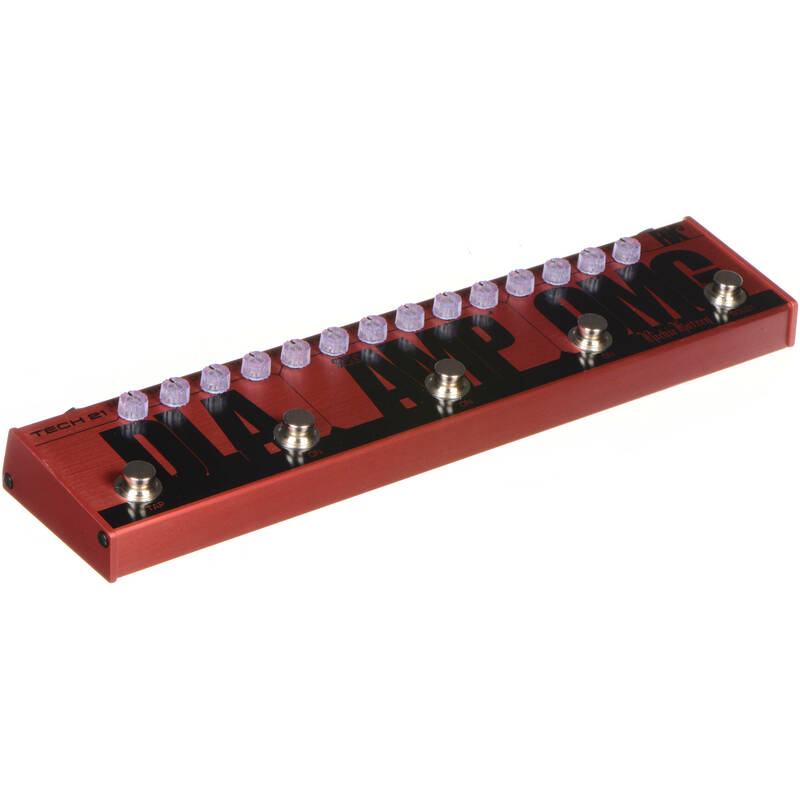 A dedicated Tap Tempo switch makes it super simple to just tap in the delay tempo you want during your performance. 1/4-inch high-impedance input and low-impedance output. Utilizes included "auto-switching" 12 VDC power supply. Self-adjusts to 100V-240V. It can be used anywhere in the world with the proper plug/travel adapter for the host country. Includes 4 knob grippers, installed by default on each Level control. Additional knob grippers are available separately in packs of 10. Box Dimensions (LxWxH) 15.0 x 3.8 x 2.3"